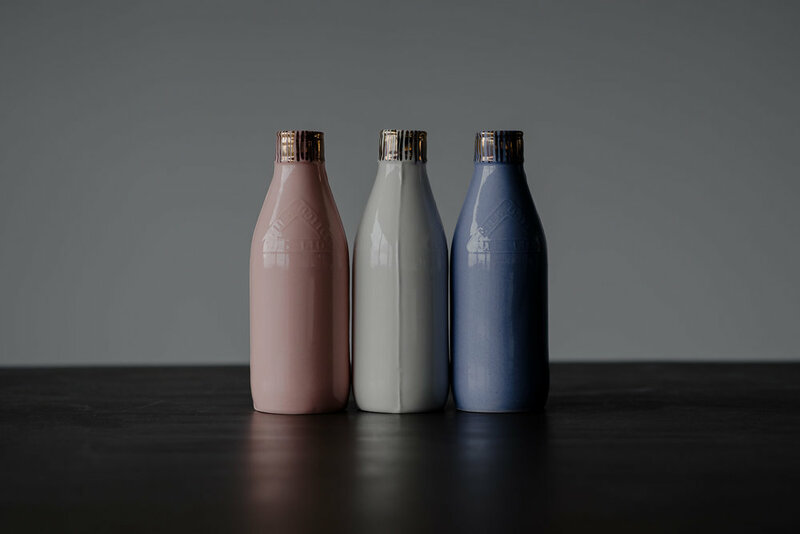 The Homegrown Collection is growing...In April 2017 we launched the collection with new Belfast bottles and an older milk bottle shape in millennial pink and pure white. After the encouraging reception of the range I am delighted to share our brand new bottles, in a brand new shade. The Homegrown Collection, a family portrait. 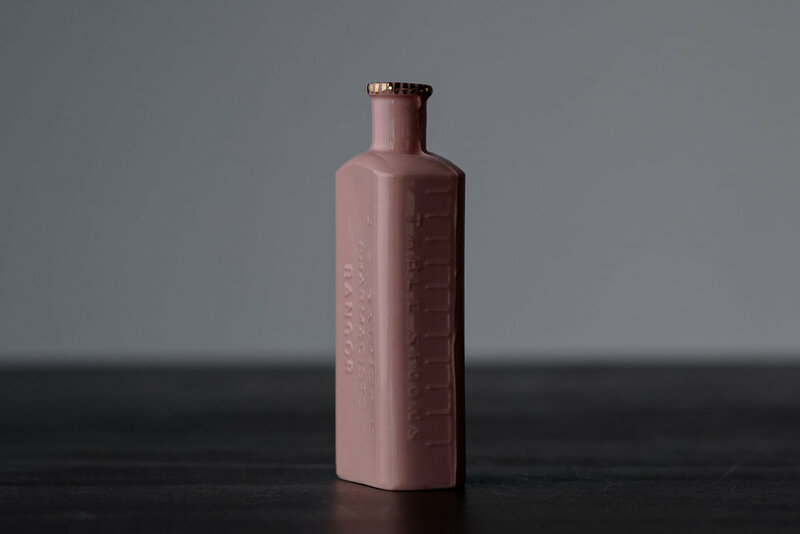 Introducing the Bangor Bottles, cast from a mould of a gorgeous rectangular pharmacist bottle, if only our medicine still came like this. Say hello to another from the mineral water family, this time in our new shade of dusky blue, all the way from Trim, County Meath. Wondering how to style the Homegrown collection? 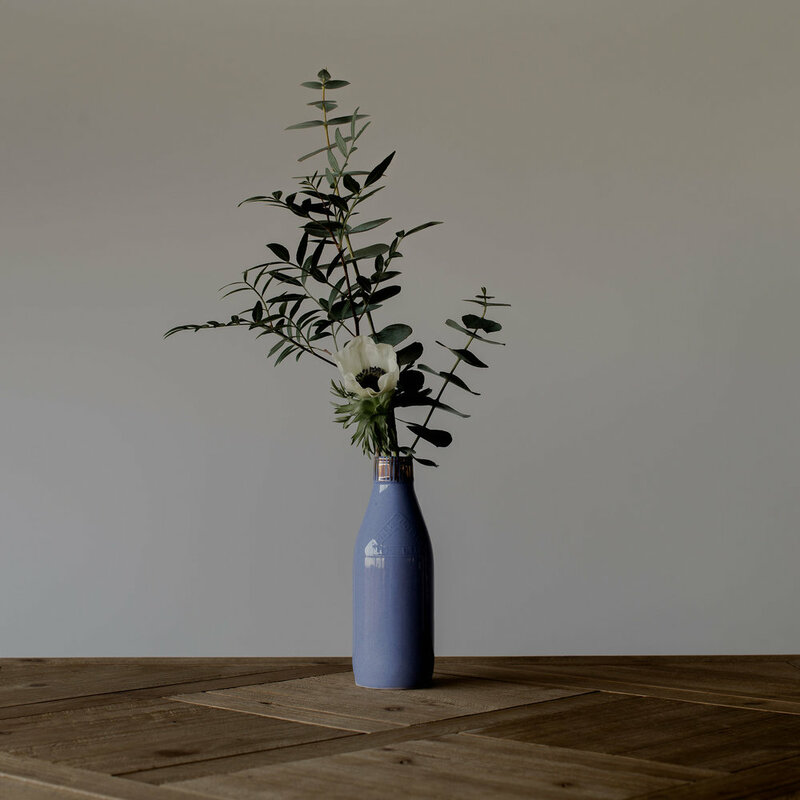 Single stem minimalism, let the Newry bottle do the talking. Or a small posy of gorgeous blooms from the fabulous Foxtrail Flowers who ALWAYS deliver the goods. The Clonard bottle looking right at home. The Homegrown Collection celebrates local historic industries from across Ireland and I hope to continue growing the family as I come across beautifully textured bottles that give us a glimpse into the past. A massive thanks to the amazingly talented Esther Irvine Photography for bringing the Homegrown Collection to life.